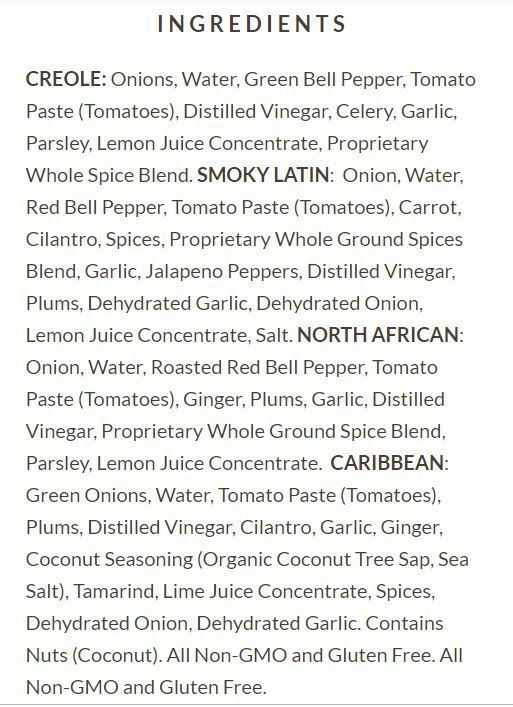 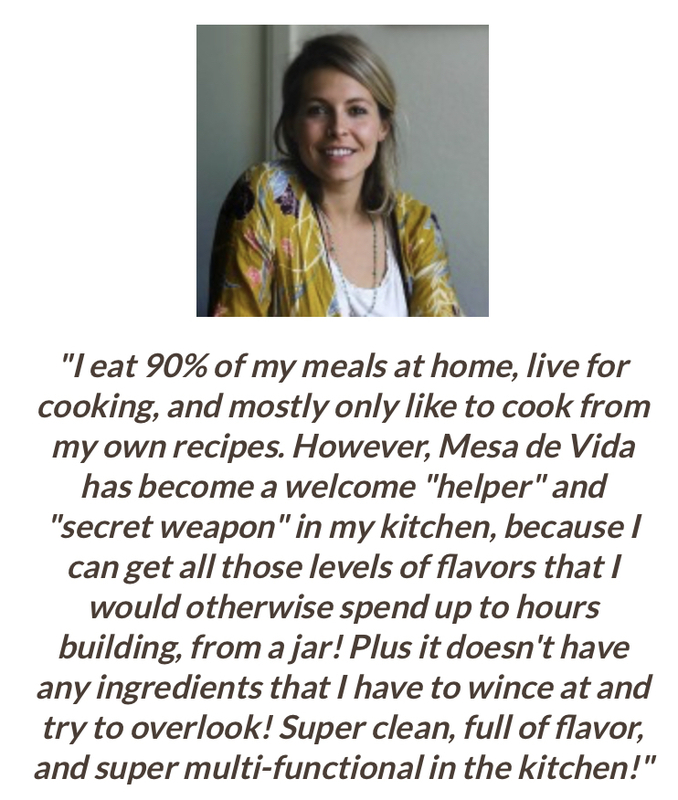 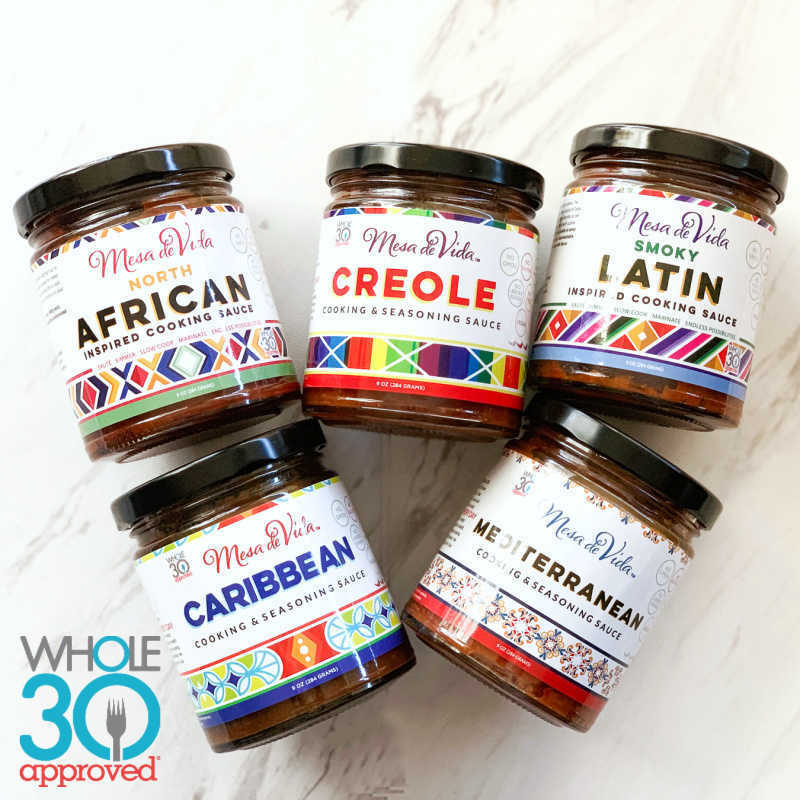 Mesa de Vida Healthy Global Gourmet Whole30 Cooking and Seasoning Sauces help you cook amazing meals at home more often in less time with fewer ingredients! 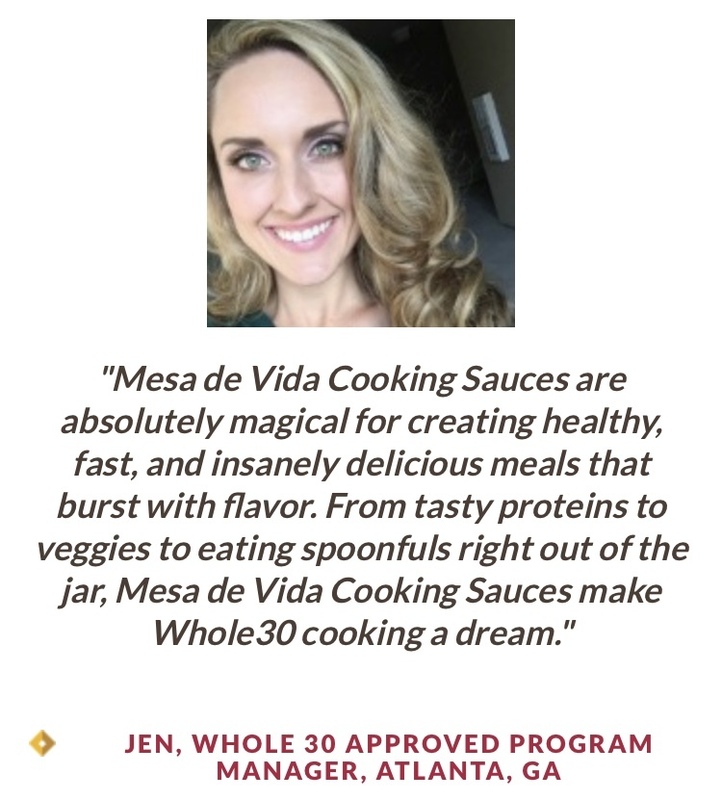 Low-sodium, no-sugar-added, 100% real food, Whole30 Cooking Sauce. 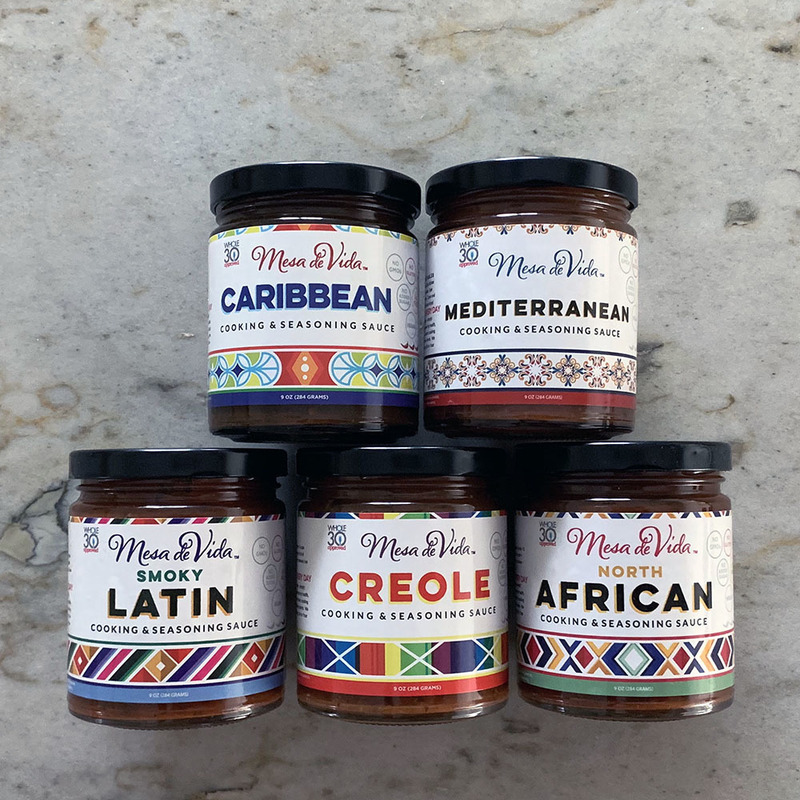 Our gourmet bundle of cooking sauce makes a great gourmet gift as well. 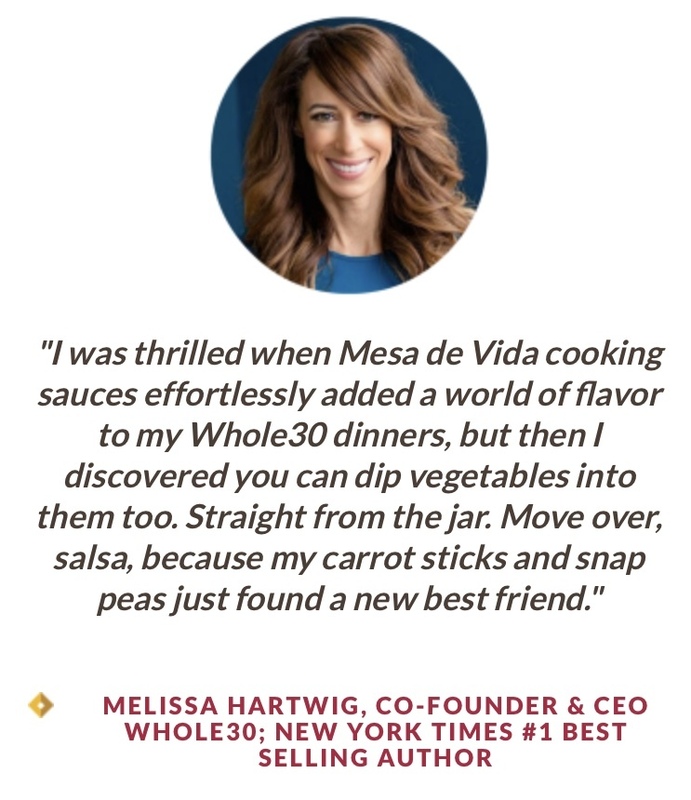 Discover the best Whole30 Approved pantry staples to make cooking Whole30 meals easy and exciting!